I have a 2011 mk8 Polo and would like to know the fusebox layout. There isn't a problem with the car, I just want to know what fuse does what, just incase. If for example the windscreen wiper fuse blows, I don't want to be stuck in the middle of nowhere, rain lashing down, on hands and knees randomly looking at each fuse in turn, in the process causing all sorts of fault codes and other problems. There is no identification in the fuse box lid. The owners manual, says ask VW dealer who will have an up todate list. VW dealer is useless, and said it is under warrenty and to bring it back if there is a fault, no doubt a blown fuse won't be covered under warrenty and will cost a fortune for them to replace a fuse. He also said all they'd do is plug in their computer and it will test things and tell them which fuse to replace as they don't have a list of fuses. I have emailed VW and still waiting for a reply. Your point is valid and correct as I have also been down the same route in trying to get hold of the fuse layout diagram. The retailer couldn't supply this info, nor was it in the owners manual. I called VW UK on 0800 333666 to raise this, they advised that due to the techincal advancements in the cars today, they could not accept liability if something went faulty as a result of a fuse being changed based on their diagram. They pointed me to their ERWIN site http://www.erwin.volkswagen.de where you would have to pay to access the details. I think a one hour access costs about €5.00 which I think is a complete rip off considering all other cars I have ever bought already had the fuse diagram supplied in the car or Owners Manual or both. Alternatively they suggested that I take my car into the dealer at my cost as fuses are not covered under warranty. I have escalated this to VW and am waiting for a reply. FYI I know you only mentioned it as an example but if the front wipers fuse popped, it is likley to be the 10a fuse at Fuse location 2 (Washer Pump) the associated fuse for the Wipers is location 47 which is a 20a fuse. I had to change Fuse 2 and mine started working ok. The horn is positioned at location 46 (20a fuse too). 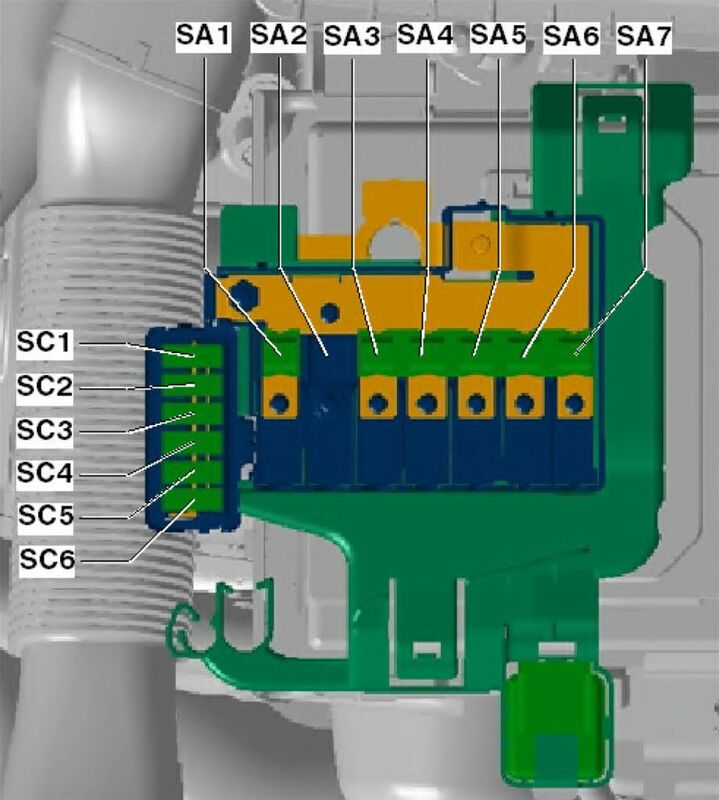 SA=Holder A, SB=Holder B, SC=Holder C.
The reason the car does not come with a fuse card is that there are a huge number of fusing variations on the Polo 6R as you can see below. Fuse 47 is the wiper motor fuse. It is disgraceful that the fuse layout cannot be provided. It is a rip-off exercise intended to create work for VW mechanics who charge ludicrous prices. A friend recently had to pay 20 quid to have washer pump fuse replaced. 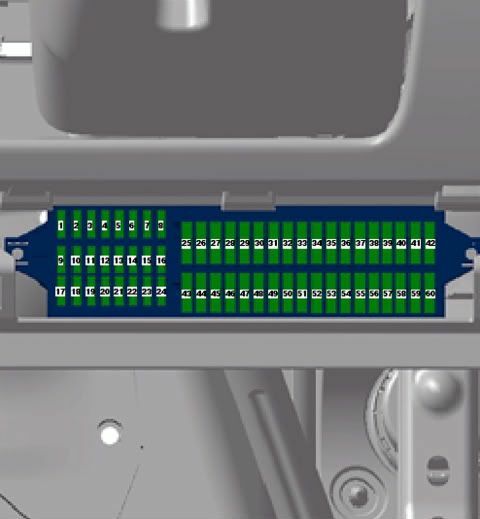 Crasher's post in really useful, though it appears that with RH drive cars the under-dash fuseboard is fitted the other way up, which makes finding the correct number fuse a bit confusing. Confuseing, geddit? £20 isn't too bad as it should last a long time.